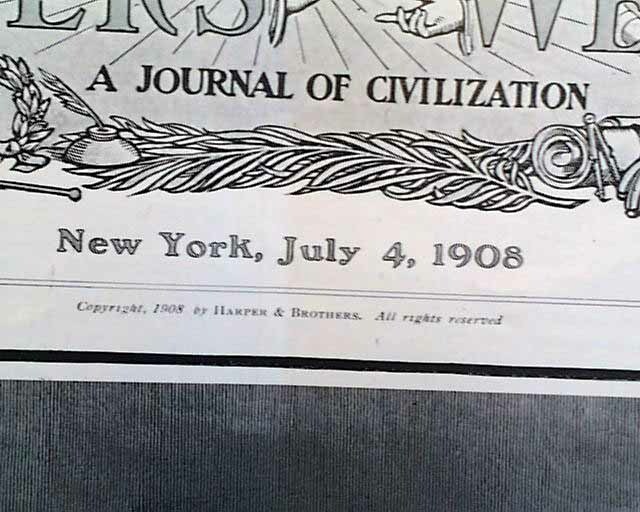 HARPER'S WEEKLY, New York, July 4, 1908 The front page of this issue has an illustration of "Grover Cleveland - When First a Candidate for the Presidency." 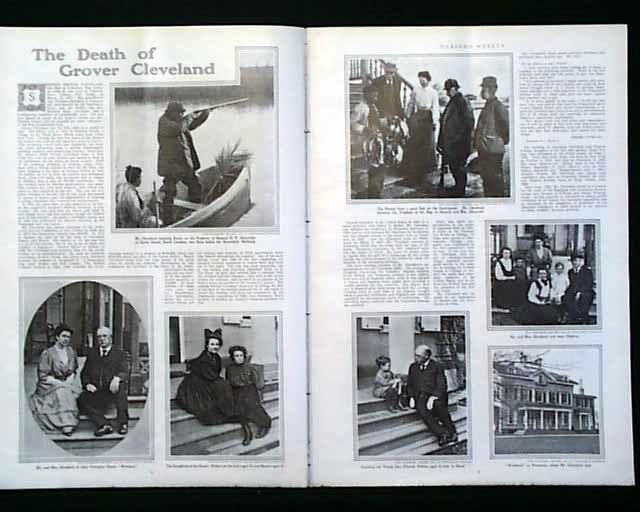 There is then an article, "The Funeral Ceremonies at Princeton" with photos of Mr. Cleveland's funeral. 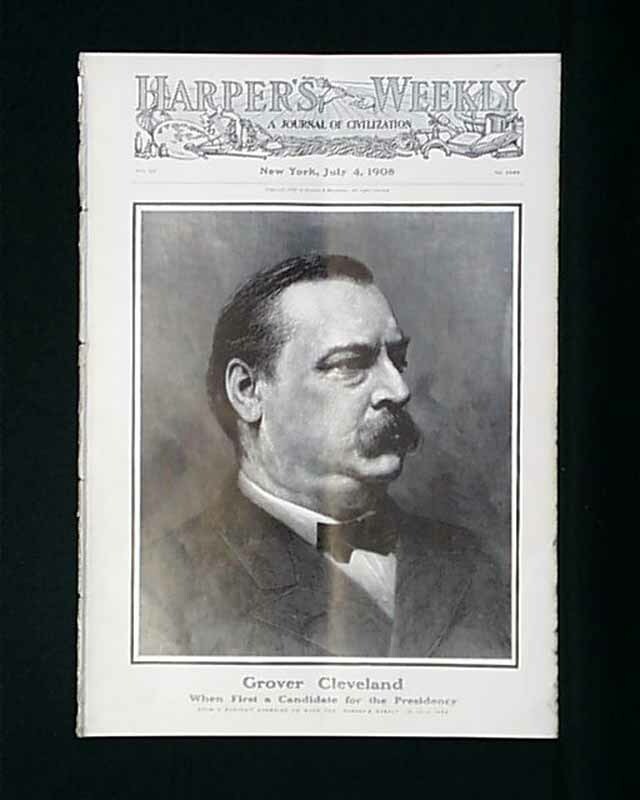 There are also photos and an article of "The Death of Grover Cleveland." 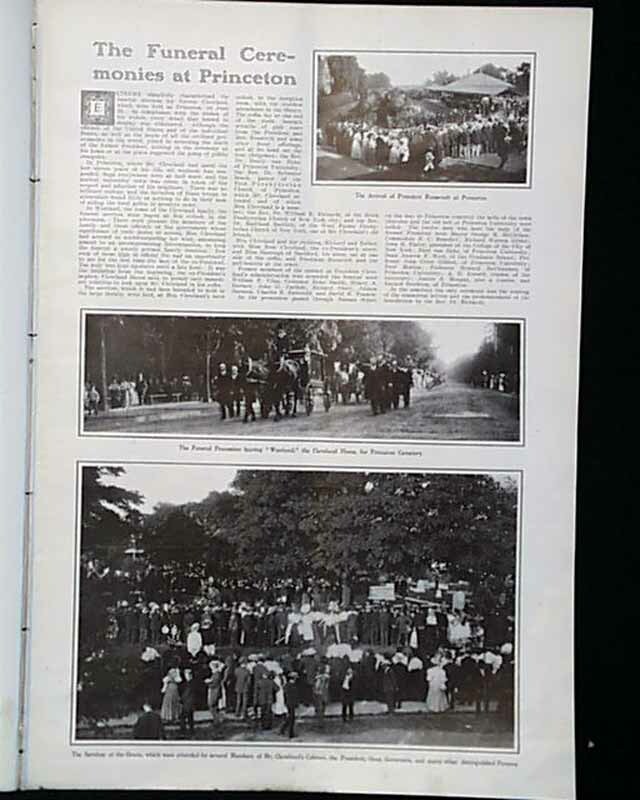 The photos show him with his family and shooting ducks just before his seventieth birthday. 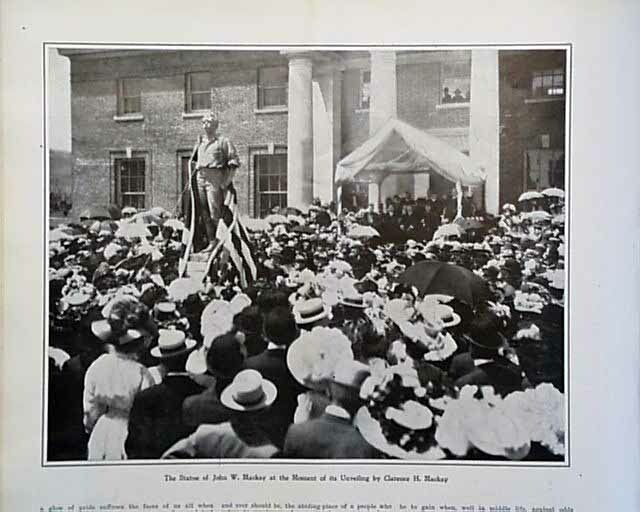 Mark Twain's New Home at Redding. 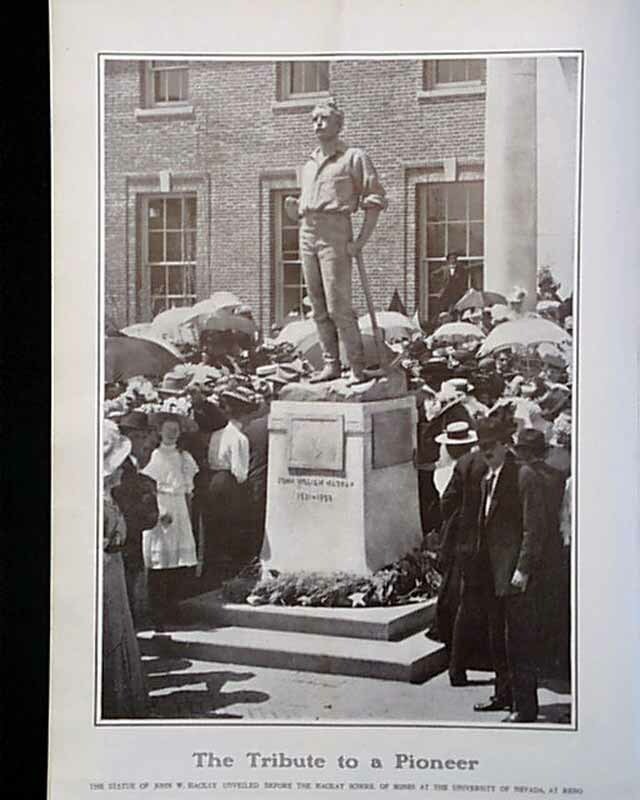 There is a photo of "The Tribute to a Pioneer" which is of the statue of John W. Mackay. 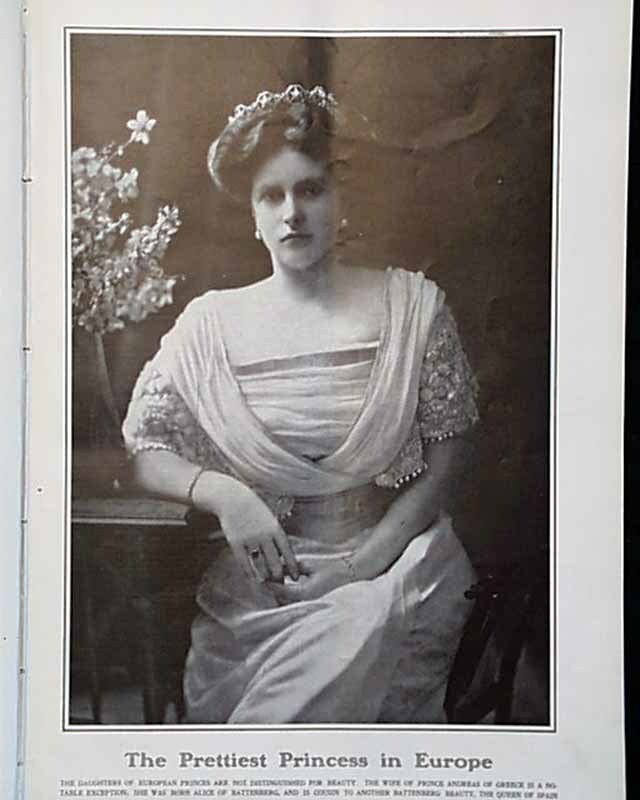 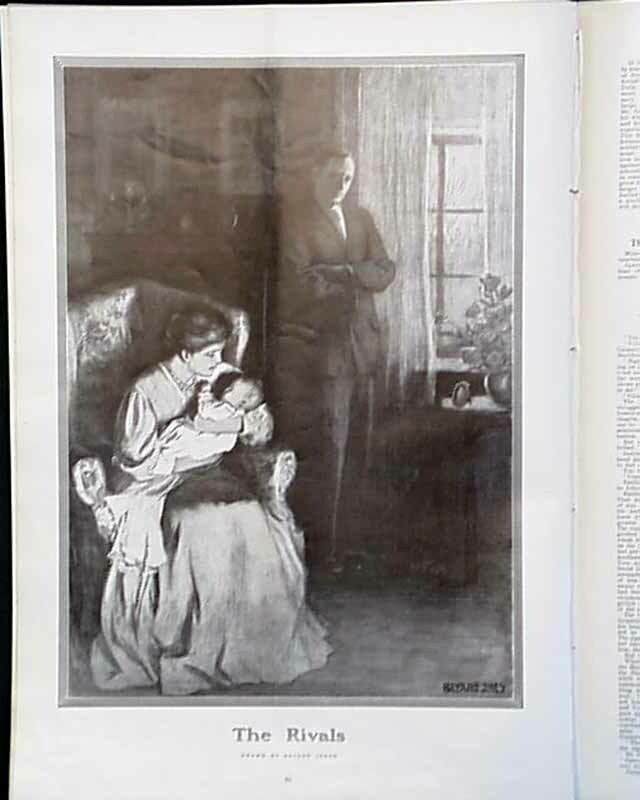 Other photos include "The Prettiest Princess in Europe" which is of Prince Andreas wife, and "Playtime with Taft." 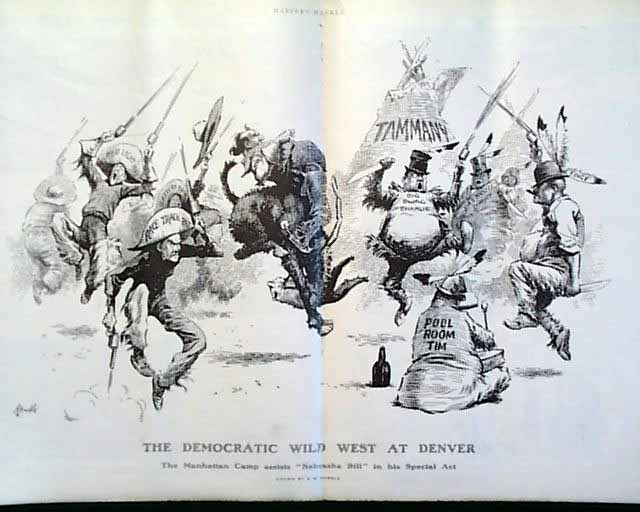 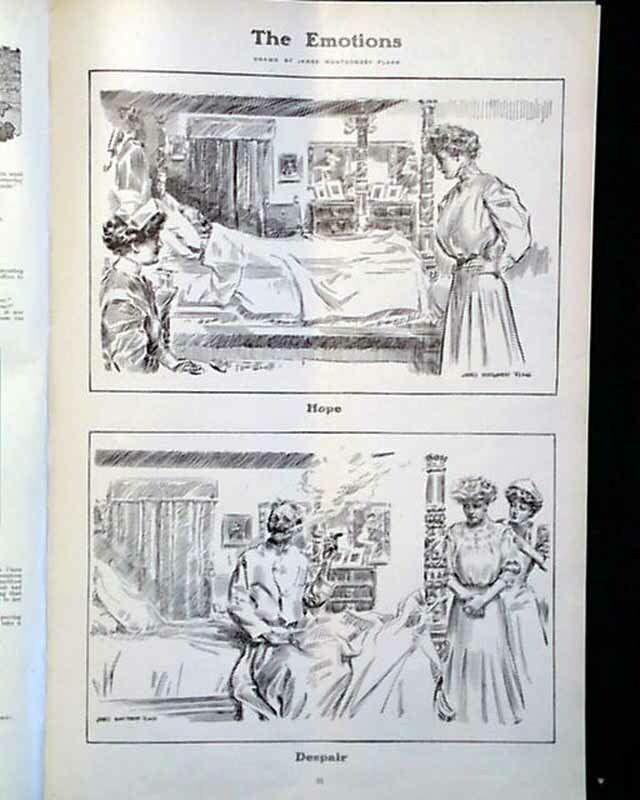 There is a double page illustration of "The Democratic Wild West at Denver" by E. W. Kemble; two illustrations by James Montgomery Flagg, both a half page and called "The Emotions", and then sub-called "Hope" and the other "Despair"; and a illustration by Bayard Jones called "The Rivals." 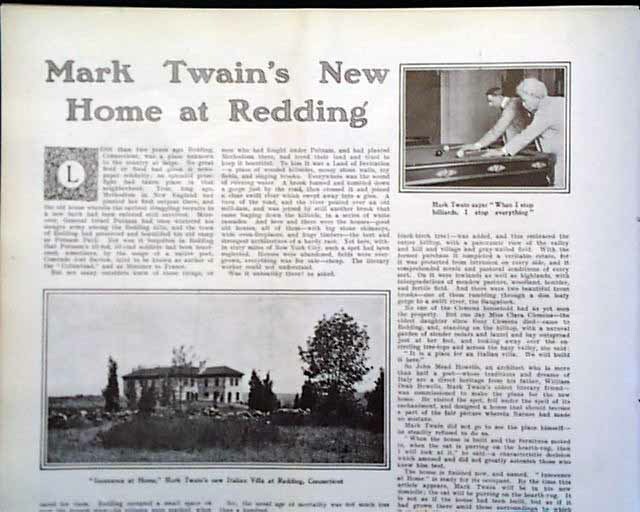 Also, there is an article with photos of "Mark Twain's New Home at Redding."